We get it—there’s that one tree on your property that needs to go. It might have been a tree that lived a long, healthy wonderful tree life that’s just reached the end of its time, it might be an invasive species that’s looking to undermine the authority of your current trees, or it could be a tree that has become a hazard to those around it—whatever the reason, sometimes it’s just time to remove a tree, when that time comes, it can be hard to resist the temptation to just pull out an axe and do the job yourself. 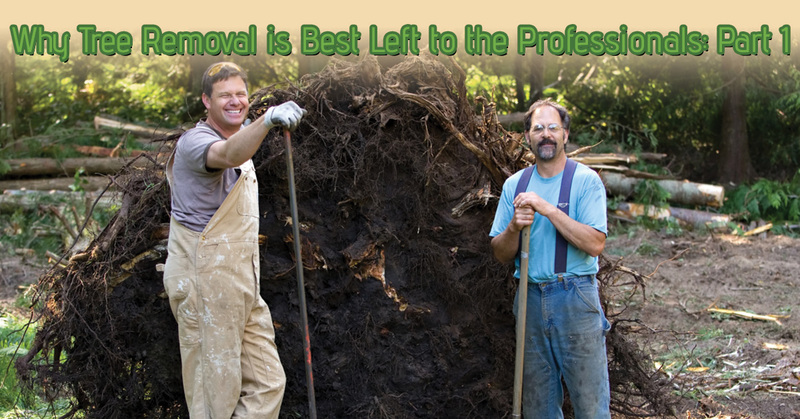 However, as professional tree experts in Shelby Township, we advise against this—calling professionals is a superior choice for a variety of reasons. In this two-part blog post, we’ll explore the reasons why tree removal is something that’s better left to the pros. In part one, we’ll focus on the aspects of your own personal well-being, and in part two, we’ll take a look at the superior resources that tree experts have on hand. At Halo Tree Services LLC, we know all too well that trees can be unpredictable in choosing their path of destruction when they come crashing down. Even if you think you’ve taken all the precautions, sometimes trees might not land exactly where you want them to. This can be exceedingly dangerous for people and property that might be in the zone where the tree ends up falling. Trees must have some sick pleasure in being as difficult as possible, as some final act of defiance. The truth is that many people misunderstand how exhausting it can be to remove a tree. This is true even if you’re completely equipped for the job, so it’s doubly true when you’re attempting it with simple tools and no help. If you attempt to fell the tree yourself, you can count on it taking longer and being more tiresome than you likely anticipate, and that’s to say nothing about the cleanup, which can be a day job unto itself; packing up the tree, loading it onto a vehicle, picking up its debris and so on, ends up creating a job you probably wouldn’t have signed up for if you knew how long it would take. This one is a little misleading, because in theory, it’s more expensive to hire someone than to do it on your own. But that’s not accounting for all the hidden costs—a mature tree will likely necessitate more equipment than you anticipated, and then there are the potential costs you may incur if the tree happens to cause any damage. Have you considered that you can be sued if a tree falls onto a neighbor’s property and wreaks havoc? Even if your costs are minimal, you have to consider the time-to-money ratio. A tree removal, at best, takes several hours. Think about what you could be doing with your time, and ask yourself: is it really worth the amount of money that you’re saving? We’ve trained and poured our lives into becoming skilled enough to professionally remove trees so that you and other people of Shelby Townsend don’t have to do it themselves. Save yourself the time, effort, and exhaustion, and consider calling us today for your tree removal needs! If you want to see how a local tree service is more prepped and qualified for the job, read on to part two!